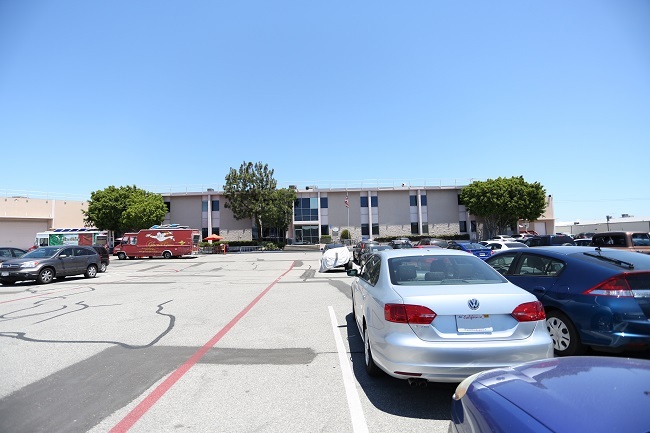 ZOOTOPIA – Walt Disney Animation Studios Tujunga Campus: exterior. ©2015 Disney. All Rights Reserved. So we took a drive to the other side of the tracks…literally. 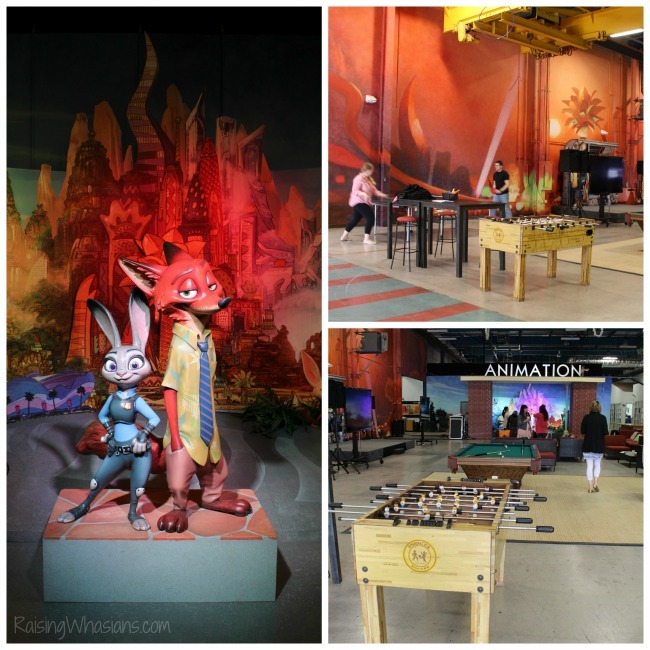 Lovingly called the Tujunga, this transformed warehouse (next to railroad tracks) is now the home of the creativity behind some of Disney’s biggest blockbusters. Transitioning all of the employees from the Roy E. Disney Building to this place in the middle of film production has definitely brought on it’s challenges, but certainly did not stop their creativity. Massively transformed on the inside, the creative drive and excitement of Disney’s Zootopia can be seen throughout the building now. The Tujunga Campus is complete with Foosball table, ping-pong and giant sized painted murals. 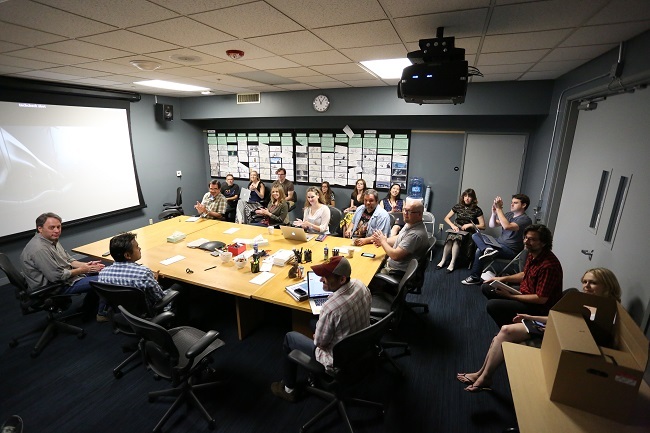 This is the place where animators and storytellers find their inspiration everyday. It was incredible to visit the Tujunga campus for myself, especially knowing that I probably will never be able to step foot in this building again. 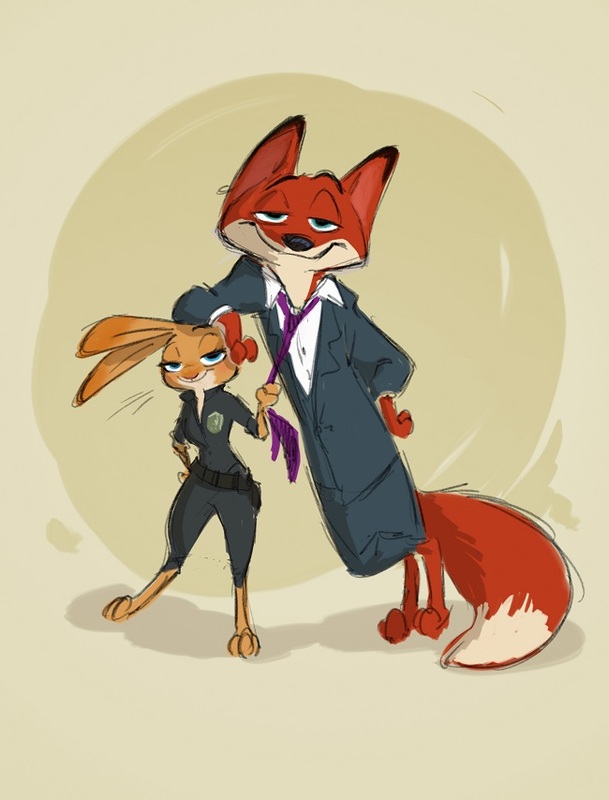 ZOOTOPIA – Character Concept Art of Judy Hopps and Nick Wilde by Director Byron Howard. ©2015 Disney. All Rights Reserved. 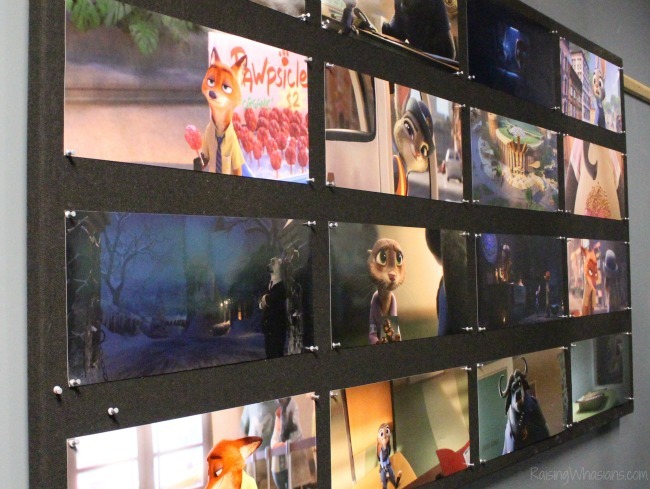 The most fascinating part of the Zootopia movie process? It has to be the detail in making these animals come to life. Combining the best of the animal world and the human world together is a creative challenge that the animators have spent hours and hours studying, researching and developing new techniques. Delving deeper in the Anim(al)ation of Zootopia, Head of Animation Renato dos Anjos and Animation Supervisors Nathan Engelhardt and Chad Sellers sat with us for the most unique presentation of the day. Clip after clip of animals walking, running, dancing, I was immersed into the Zootopia animation process. The attention to detail from scaling to fur to “Keep Alive” was amazing to watch, even in raw file form. So what animal was the easiest to animate? According to the experts, it was the mice. “We know more background.” Considering the Disney Animation is founded on an animated mouse, I would say so too. The hardest animal to animate? Those lovable sloths! That scene was redone the most. Why? “It’s so unnatural to be so slow.” The animators are so used to a faster pace for movies of today, it was hard for them to literally slow down! 190,000 story boards. 1,172 drafts. And still counting. That’s Zootopia. “You have to be willing to kill your darlings.” When it comes to the everlasting story of a Disney animated film, you can’t become attached to one story line. You have to be able to let go and cut ties, even if you poured your heart and soul into them for days/weeks/months! And for Zootopia, the story centers around the characters and making them relatable to us. It was about making Judy Hopps more than just a little bunny, but an empowering woman of this film. And that only comes with the incredible story telling from Disney animators. Sitting with Writer and Co-Director Jared Bush, Writer Phil Johnston, Co-Head of Story Josie Trinidad and Head of Editorial Fabienne Rawley, you realize just how difficult it is to create, edit and weave the story together. The music, the words, the facial expressions and every little aspect are in constant scrutiny and can be scrapped at any point in the process, even when in full animated product. It’s the constant question the movie makers are asking. Taking a look at the Homesick Hopps clip with them, we saw one of the many story sequences that ultimately got cut and redone into the final clip today. Small, subtle changes were made to ensure that Judy Hopps, while vulnerable in the moment, needed to still remain that empowering woman. I couldn’t imagine junking a part of the film you worked so hard on! But thinking about families watching, the pride and passion that went into the many hours of film production, and even the foundation of Walt Disney himself, the story of Zootopia is so important to the lasting legacy of the film. ZOOTOPIA – Zootopia leadership dailies. ©2015 Disney. All Rights Reserved. But what’s the bigger story here? It’s the people behind Zootopia. From September 2011 (yes, that very same time in history), these folks have worked tirelessly with research, new animation, and a heartfelt story….all while enduring never ending changes. An estimated 550 people have had their hands into this movie for the 4+ years of development, and the excitement, motivation and love for Zootopia continues to grow. 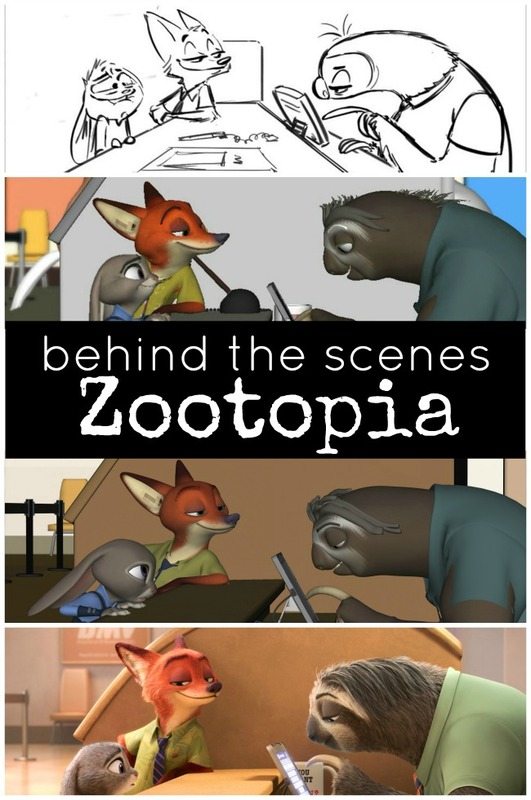 Hopefully just that small glimpse behind the scenes of Zootopia gives you and your family a better understanding of just how much work, passion and love for family goes into this film. 190,000 scratched story boards? No problem. A complete job relocation and overhaul? Been there. A never-before-seen Disney Animation movie? Priceless. Be sure to save the date of March 4, 2016 for Disney Animation’s newest movie, Zootopia stampeding into theaters! What do you love about the creative animation behind Zootopia? I was invited to attend an all-inclusive Disney press trip in exchange for this posting. All opinions are my own. Be sure to follow Raising Whasians via Facebook, Twitter, Google, Instagram, Pinterest and YouTube for more of my celebrity interviews, entertainment news, movie updates and more! How cool that you had this opportunity! I know it takes a lot of people and a very long time to make an animation but wow…I really had no idea! Very cool opportunity! My kids are definitely excited to see this movie! This movie looks hysterical. We can’t wait to see it. This looks like a fun event to attend. I plan on seeing this with my niece and nephew. Zootopia looks like it will be a fun film. The more I read about it the more I want to see it. I love behind the scenes looks like this at animated movies. I’ve always found today’s animation to be fascinating. What a cool adventure for you! I’ve always loved the arts and think raw drawings done by artist have a beautiful truth to them. I like that about these sketches too. I love hearing that the artists there love their work so much. I think it sounds like one of the coolest jobs in the world! I didn’t realize so much story boarding took place. Making a big animated film like this sounds like so much work for the team! Zootopia looks like a great movie. We can’t wait to see it. It is interesting to note the sloths were the most difficult to animate. So fun!! Looks like you had a great time! Its so amazing how they do all of this animation magic!! This would have been an amazing day. I am so excited to take the kids to see Zootopia. I love these outings you take. 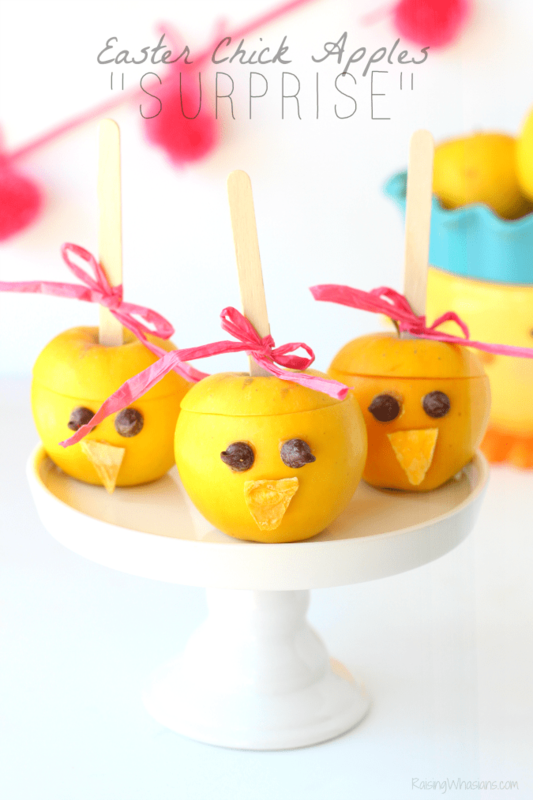 I feel like you always give us the inside scoop! Zootopia looks like it would be so much fun I’m looking forward to seeing it. Behind the scenes would be awesome too! How fun. You had an awesome opportunity, this is so interesting. I can’t wait to see it. What a great visit to make. I love reading about the behind-the-scenes in a movie! I think this movie is going to be great, so many animal characters to play off of. This movie looks good, I’m going to take my kids to see it. I saw a Disney special once years ago where they showed the transformation of the first Mickey Mouse to the now-a-day Mickey. It was quite interesting how Mickey developed over the years! I really liked the 4 frame by frame animation of the finished production scene. Amazing!! If I get a chance, I’d like to take my grandkids to see this film.